You are here: Home / Generation Z / Future of the Middle Class: Will Your Kids Fall Out? Future of the Middle Class: Will Your Kids Fall Out? 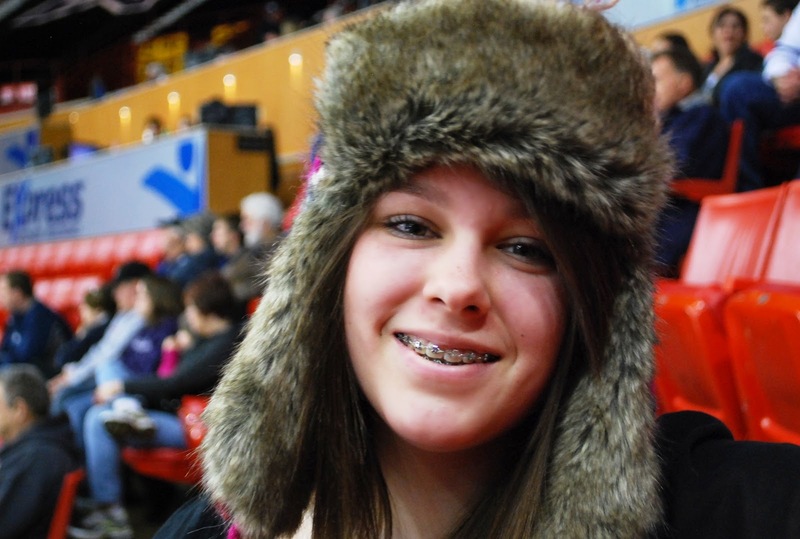 Future of the Middle Class: My Juliette at an OKC Barrons Ice Hockey Game | January 2012 | Your Russian look is primo, Juey! She goes on to write about a new internet, control of a new order (the rising Cyberorder) and a new generation of cyber freedom fighters. This is heavy stuff, folks, but none so heavy as the notion that the future of the middle class is so tenuous; that my precious son and my precious daughters might fall out of it. According to a report in CNN, nearly one-third of Americans who were raised in the middle class dropped down the economic ladder as adults BEFORE the Great Recession hit in September 2008. Do you worry about the future of the middle class? Turtle Tuesday, friends, and, here’s a parting gift. The Princess Who Saved Herself by Jonathan Coulton. ladder as adults BEFORE the Great Recession hit in September 2008. I’m Gen X, too, but I am definitely one who is living much lower down the ladder than my parents –much. And I have even had a similar career (teacher, same as my mom). But I chose to go into higher ed in ESL, and it does not get lower on the financial bracket than that in education, I found out. My employment history is a lot more spotty, too. The Internet industry crash of 2000-2001 got me, as did divorce. In the past 10 years, I have not really been able to rally. Anyway, if the trend continues for my 15-year-old Gen Y guy, then it is a bleak picture, indeed. I was actually hoping that for him there may be a reversal of fortunes! The post you linked in and shared from is wonderful. I’m only about halfway through, but I am going to send the whole thing to my Kindle and read it in its entirety later tonight. Thank you very much for sharing it. My you have such attractive, happy, photogenic children. I know several people who have their 20 something year old children living with them. Often they are incompletely educated and no job skill training at all. They are just in a holding mode right now. Who knows what is going to happen. I’m not much into conspiracy theories or doomsday scenarios but it seems like the divide between the haves and the have nots is growing. And the haves are doing everything they can to keep the have nots out. Jen, wonderful first Turtle Tuesday post. Yes, this is sad about folks dropping down out of the middle class. But they are not going up into that 1%, are they. I really celebrate the cyber freedom fighters and am doing my part, peacefully and slightly tactfully but with vigor! We only have ourselves to blame if we behave like the majority of the citizens of the Third Reich!